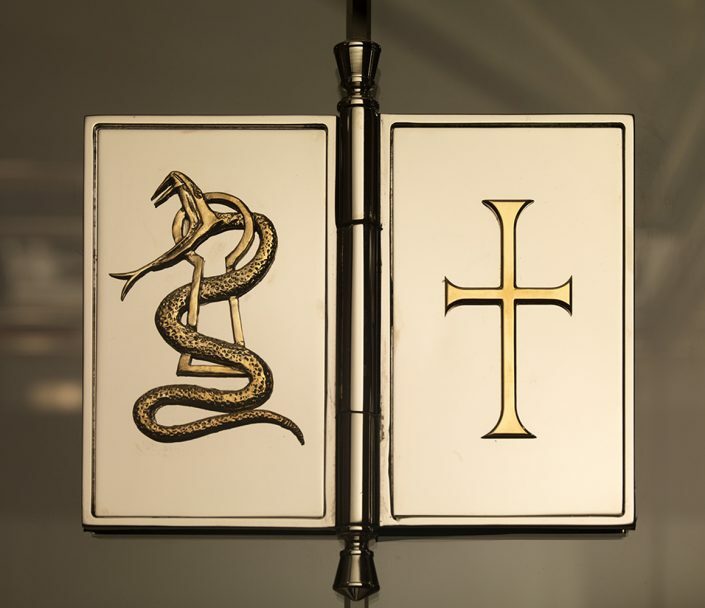 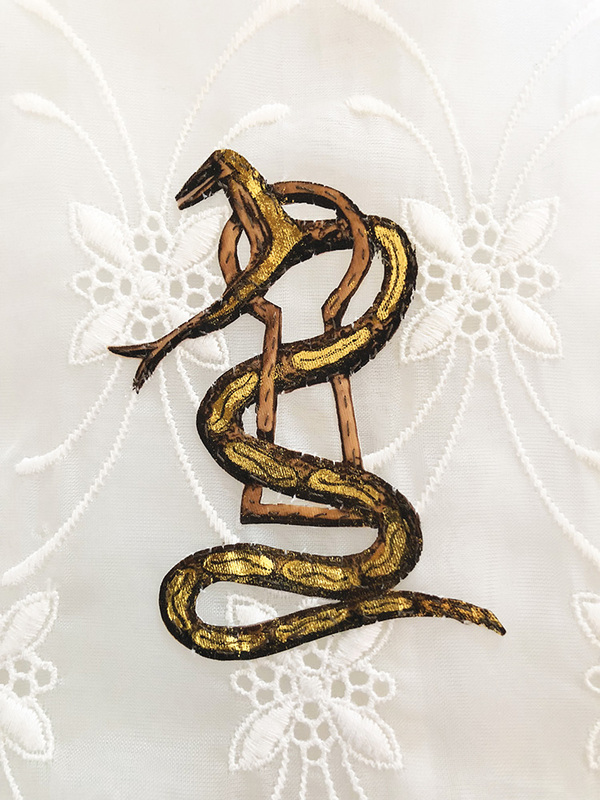 Deep institutional resistance was the context against which McKillen, who counts herself as “a shy person, not necessarily wanting to stand out,” formulated the immersive installation work that comprises her stunning exhibit, Confess, at Lisa Sette Gallery this September. 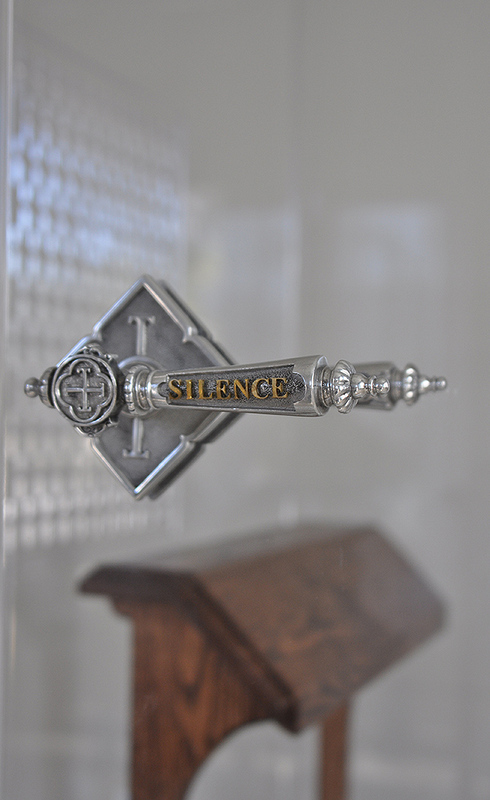 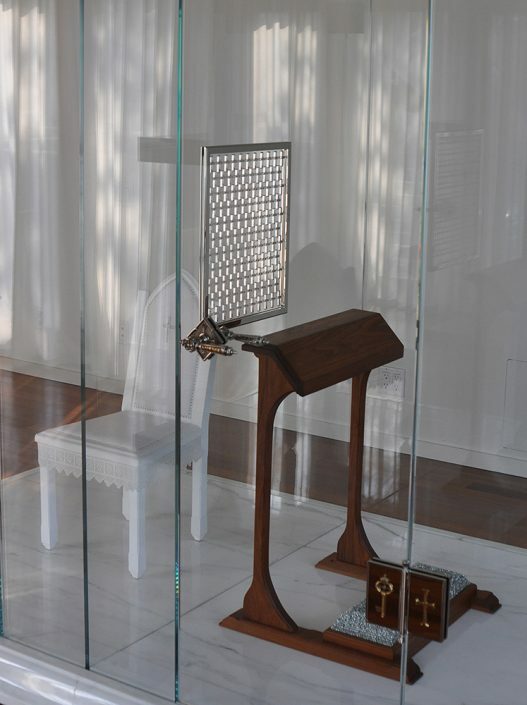 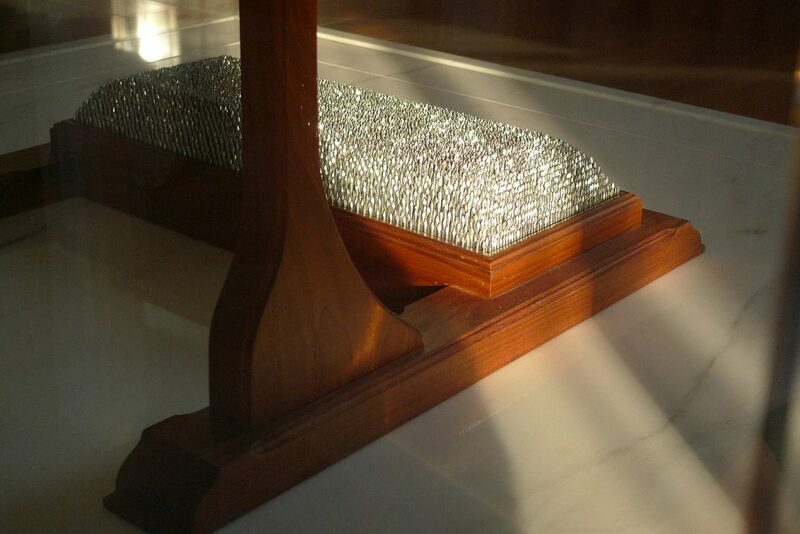 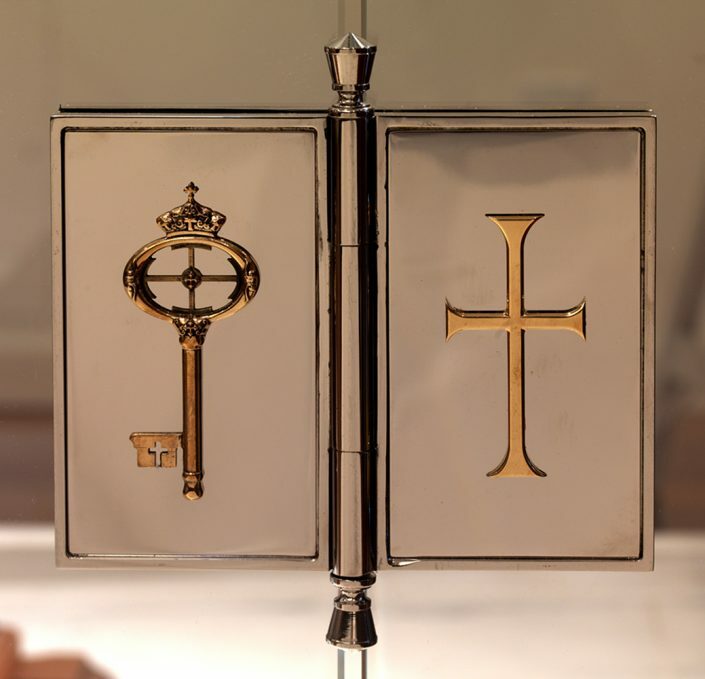 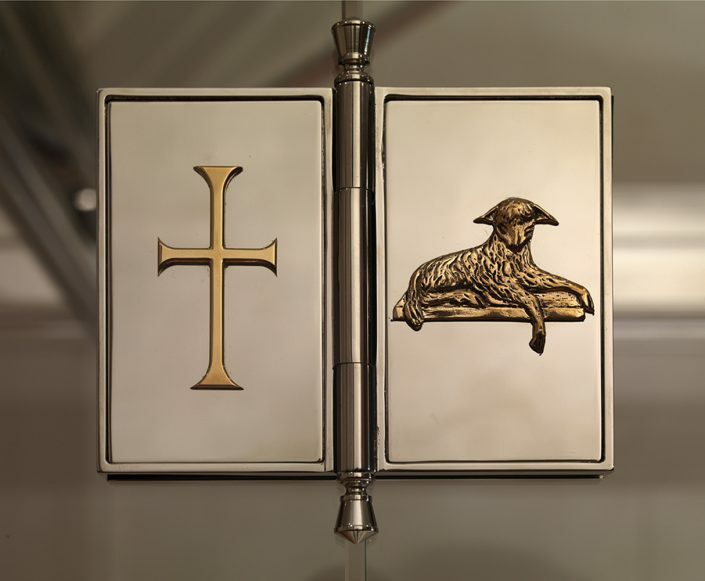 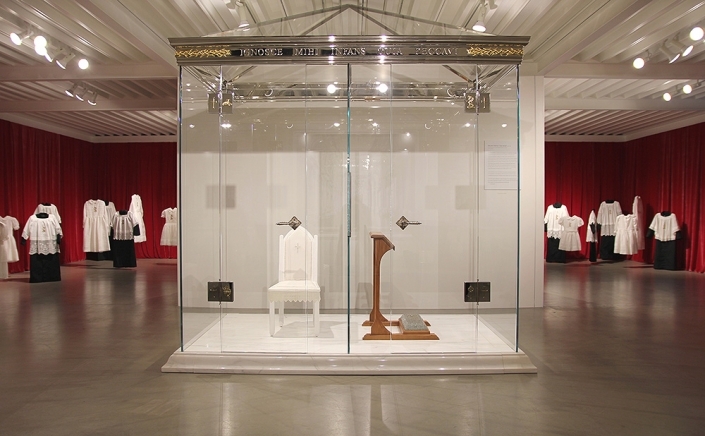 Starting out with a vivid idea but minimal experience in the building trades, McKillen spent several years constructing her exquisitely confrontational transparent confessional booth, a transportable structure fabricated entirely of glass, metal, marble, and wood. 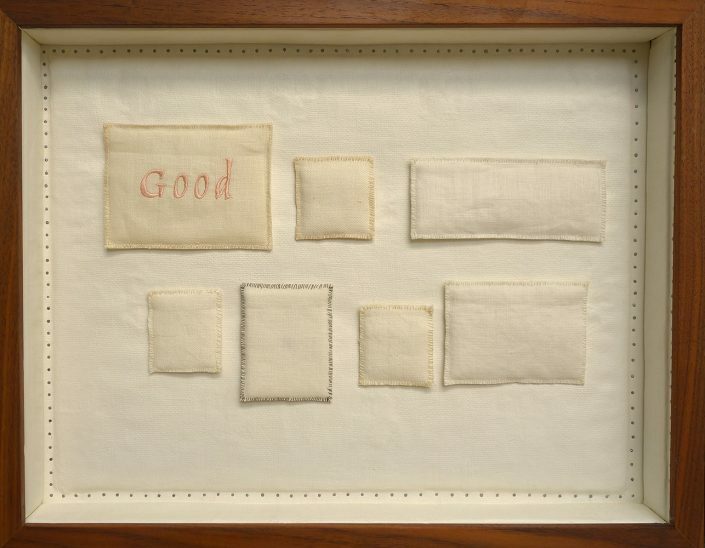 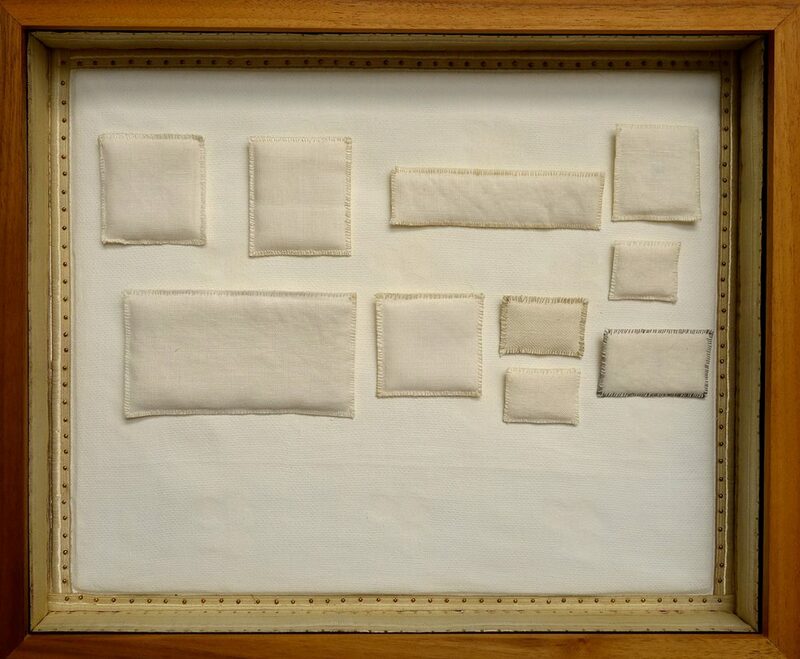 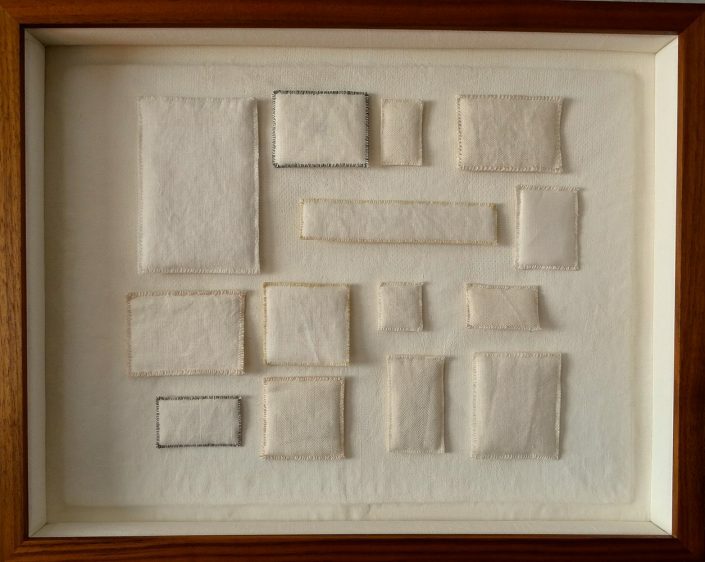 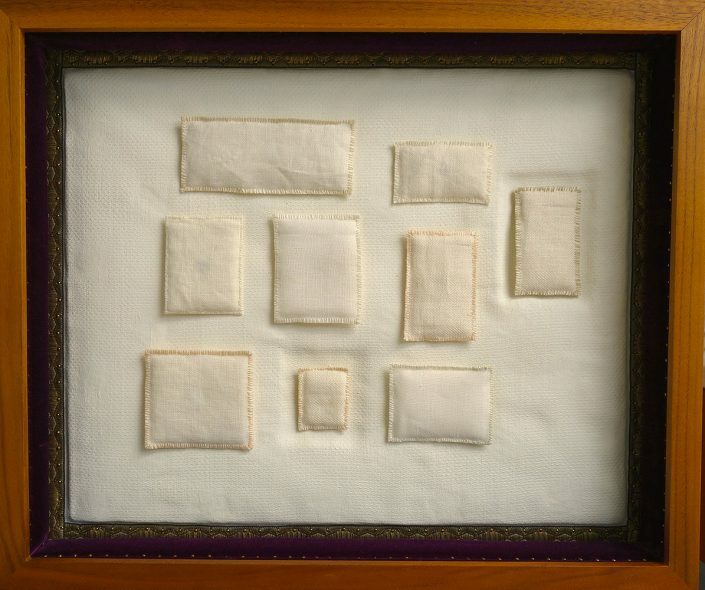 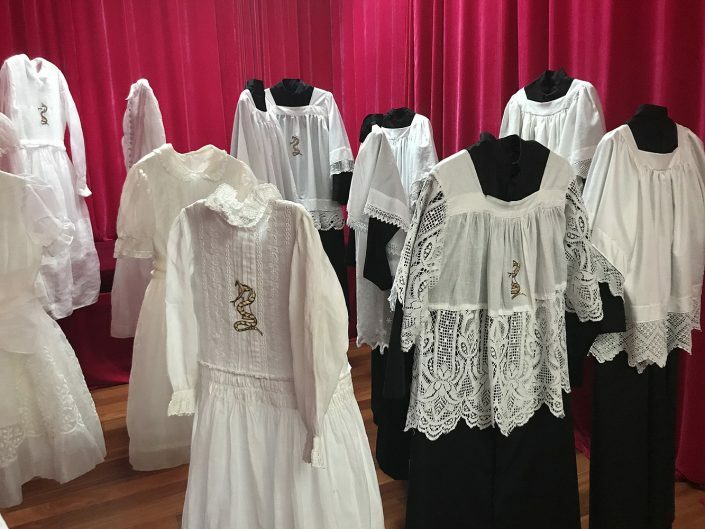 Accompanying it is a ghostly cohort of embroidered antique vestments titled The Children once worn by children in the Catholic Church, and a series of illuminated linen “poultices” titled Stations of Hope. 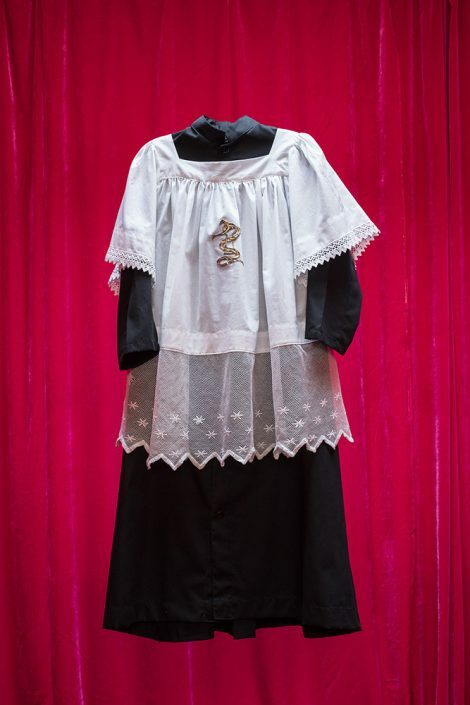 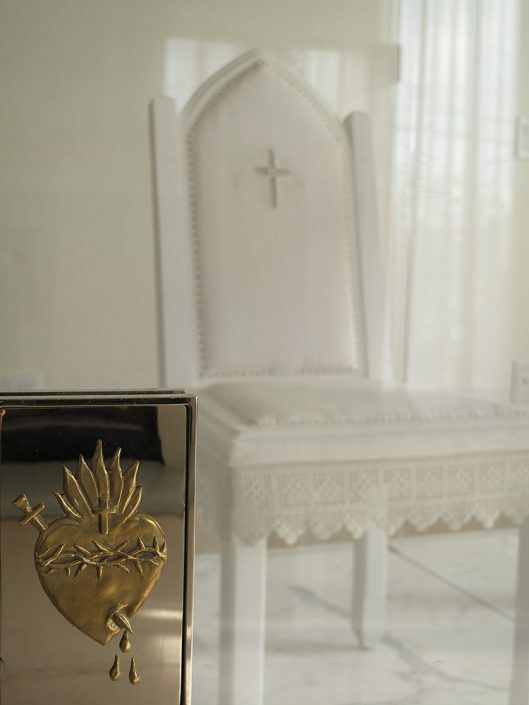 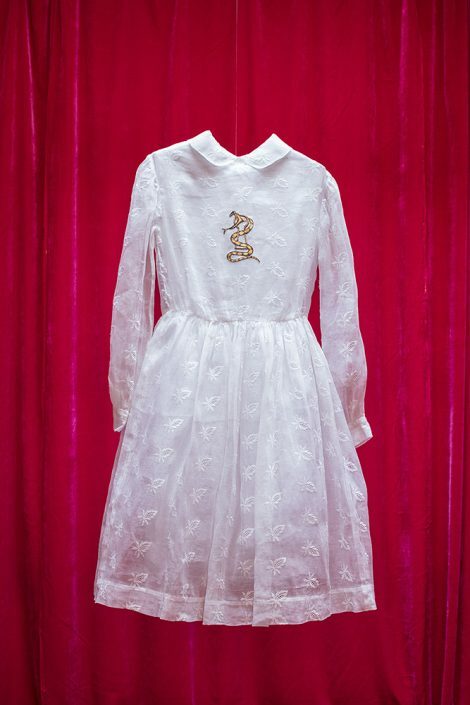 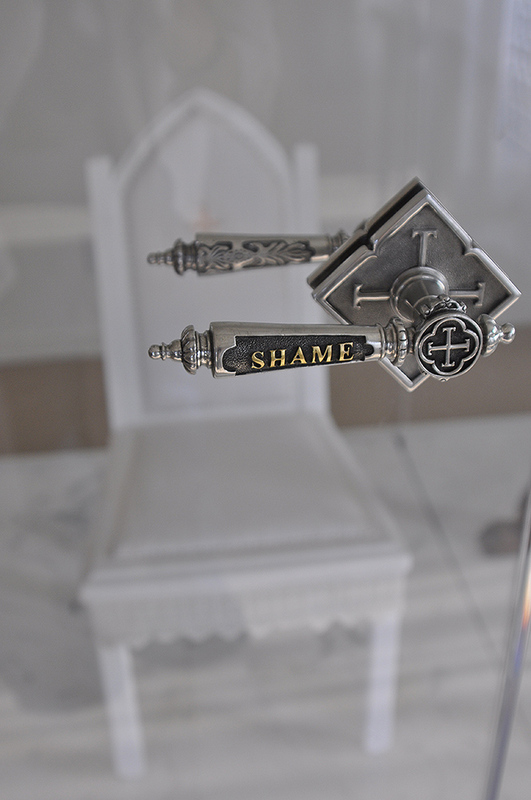 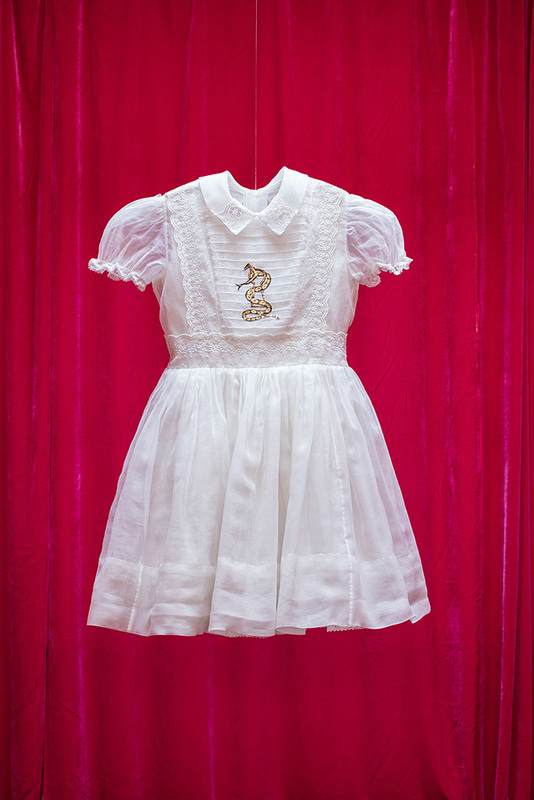 In The Children, McKillen uses vintage First Holy Communion dresses and altar boy vestments to represent the seemingly invisible nature of the crimes of the Church. 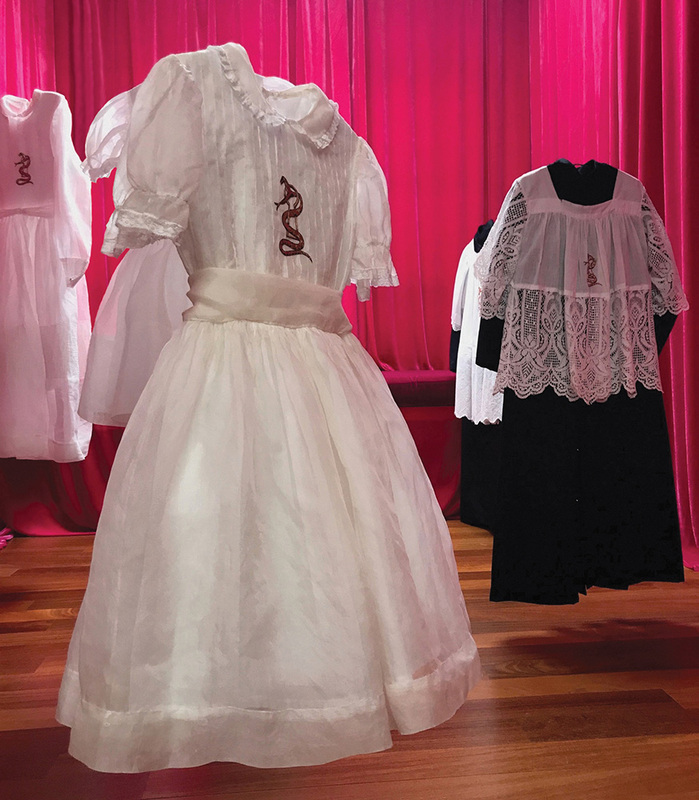 Every garment and embroidered symbol signifies that each child suffered their own unique pattern of abuse in silence and secret. McKillen said she felt “compelled to create something that would make the children visible”. McKillen possesses a unique awareness of the denial and secrecy built into society’s proscriptive power structures: growing up in a traditional Irish Catholic family in the sectarian Belfast of the 60’s and 70’s, her father, a respected businessman, clandestinely engaged in peace negotiations with the British. In response, McKillen’s childhood home was ransacked; bombs exploded outside her front door. 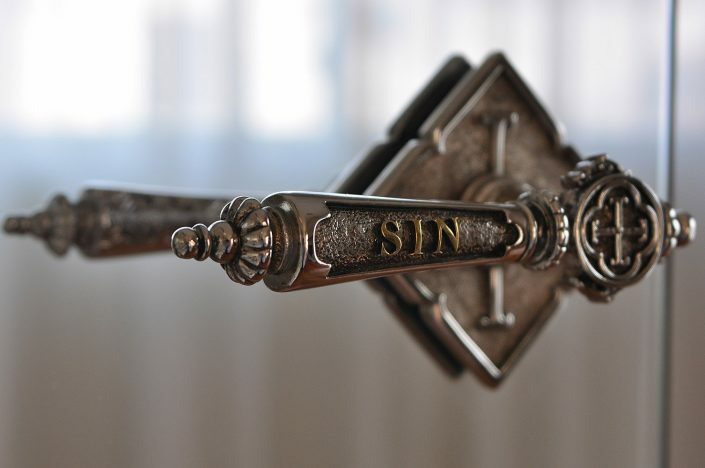 When her family moved to Dublin to avoid further retaliation, McKillen sensed an unwillingness to confront the realities of Northern Ireland’s troubles and the not always beneficent role of the Catholic Church. McKillen hastened from Ireland to an expansive life as a set designer in Los Angeles, but an unease with the Catholic Church that shaped her childhood simmered in her subconscious, hinted at in lush photographs and assemblages of the small, symbolic items that McKillen reflexively collected: babydolls, textiles, and religious paraphernalia, objects imbued with both ritual beauty and shame. 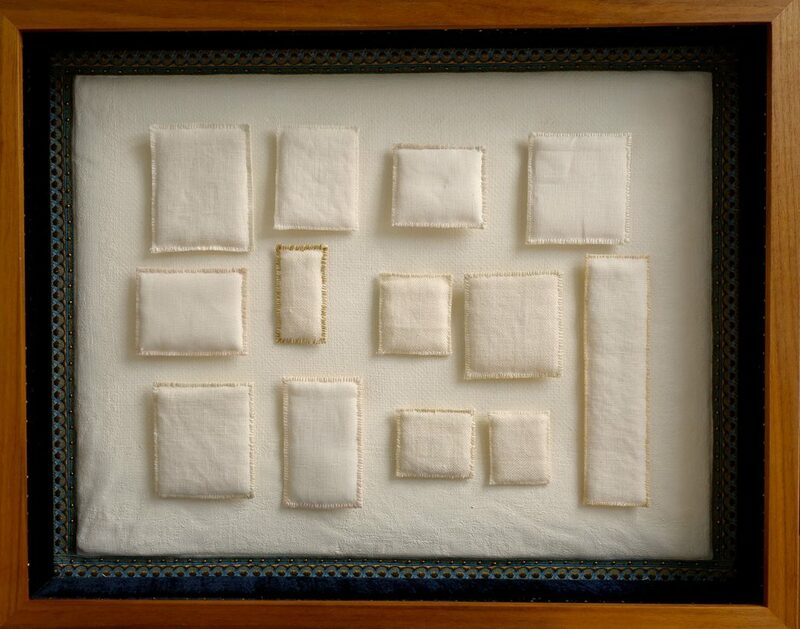 Intrinsic to these lush and often lovely works is a sense of aesthetic evidence-gathering, a secret recordkeeping. 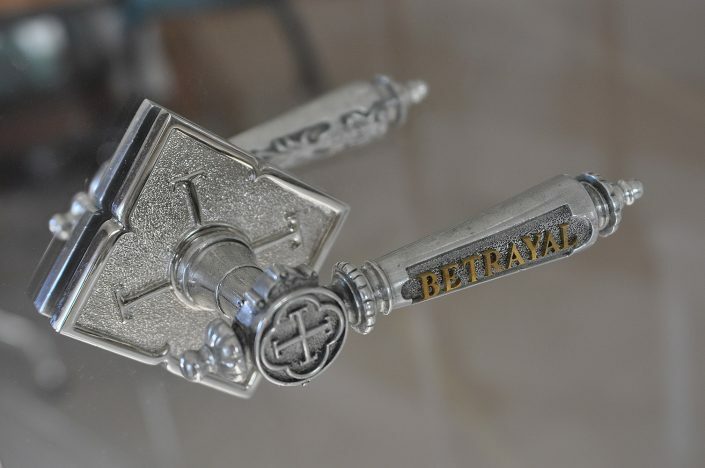 McKillen’s works exhibit a keen recognition of objects that reveal a hidden story.